The Young Australia League (YAL) is now accepting applications from students aged between 12 and 25 for a range of scholarships worth up to $12,500 annually. This is the fourth year that the YAL, one of Australia’s oldest youth organisations, has offered scholarship opportunities to young Australians experiencing hardship due to social circumstances, disability or distance. This year YAL is offering two new scholarship categories, one for Indigenous students and one for those with a disability. in their education. YAL was founded in 1905 by prominent WA businessman and politician, John Joseph (J.J.) “Boss” Simons, and the scholarships are funded through the charitable endowment trust created by the YAL board in 2014. Twenty-five scholarships have been awarded to date and it is hoped that five will be awarded this year. The scholarships offer up to three years funding assistance and cover expenses such as tuition fees, specialist courses, home tutoring, books, equipment, travel, living costs or even childcare to allow young parents to continue studying. They are open to students enrolled at any recognised educational institute which includes secondary schools, universities, Registered Training Organisations (RTOs) and Vocational Education Training (VET) providers nationally. These include organisations such as the YMCA that delivers secondary schooling in remote Western Australia; specialist schools such as the Western Australian Academy of Performing Arts and Victorian College of the Arts and the network of TAFE Colleges throughout Australia. “YAL is honoured to announce a two new scholarship this year, the Hilary Farrant Scholarship & Schiavello Systems WA Scholarship. The Hilary Farrant Scholarship is for students with disabilities entering post-secondary studies in 2019. This scholarship will be available to students with any disability and needing financial support to assist them with their studies. The funds for this scholarship have been generously donated by one of our YAL members in memory of his late wife. “The Schiavello Systems WA Upper Secondary Scholarship will support an Indigenous student in their senior years of secondary school. The addition of these two scholarships allows YAL to support an even wider range of disadvantaged young people in our community,” Mr Schaper said. Submissions must demonstrate an applicant’s enthusiasm for furthering their own education and career development; proof of commended academic and/or skills performance; and evidence of financial or situational barriers preventing access to ongoing education. For more information about eligibility and the application process, visit our scholarship page. Applications are now open and close at 5pm WST 15 October 2018. Please note: A radio CSA is available on request. A City of Wanneroo Upper Secondary scholarship/bursary of $3,000 p.a. for 3 years to support full time Secondary education (years 10, 11 and 12) at an accredited public or private institution – only available residents of the City of Wanneroo. A City of Swan Lower Secondary scholarship/bursary of $2,000 p.a. for 3 years to support full time Secondary education (years 7, 8 and 9) at an accredited public or private institution – only available residents or students enrolled at a school in the City of Swan. A Dome Kelmscott and Armadale Lower Secondary scholarship/bursary of $2,000 p.a. to support full time Secondary education (years 7, 8 and 9) at an accredited public or private institution – only available for residents of the City of Armadale. Hilary Farrant Scholarship for Post-Secondary students with disabilities, a scholarship/bursary of $37,500 over 3 years, or pro-rata of academic load over 6 years, at an accredited public or private institution. The Young Australia League (YAL) is one of WA’s oldest youth organisations founded in 1905 by John Joseph (J.J.) “Boss” Simons to develop and promote the ideals of love, service and tolerance in the lives of young people. The not-for-profit organisation has an extensive history of training and mentoring young people throughout its 112-year history by connecting young people and creating opportunities for them through sponsoring local sporting teams and clubs. Former WA Premiers Sir Charles Court and Geoff Gallop were member of the YAL. 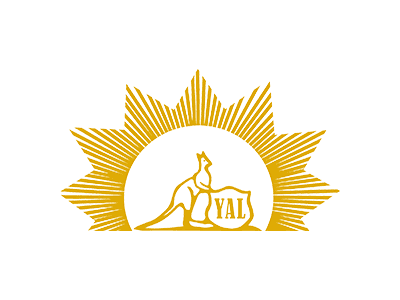 The YAL J.J. ‘Boss’ Simons Charitable Endowment Trust is named after the West Australian businessman, politician and YAL’s founder and offers educational scholarships for young Australians who are disadvantaged because of social circumstances or disability. Scholarships up to $12,500 per year are available for terms ranging in length from one to three years. Applications are open to young people aged between 12 and 25, who are Australian Citizens or have permanent residency in Australia. Costs covered by the scholarships may include student fees, specific tuition fees, books, reference material and the cost of student accommodation. In cases where a student comes from a remote area, travel costs may also be included.